Candlestick Point is located at the southeastern corner of San Francisco, immediately north of the City and County line. Largely comprised of landfill, its peninsula formation features approximately two and a half miles of Bay shoreline. The area is best known as the site of the Candlestick Park football stadium. While the stadium has been a citywide asset, Candlestick Point as a whole has not met its full potential. Most of the City land surrounding the stadium is a minimally improved surface parking lot. The other main features of Candlestick Point are the 154 acre Candlestick Point State Recreation Area (CPSRA) established in 1977, and the Alice Griffith public housing complex constructed in 1962. Long term plans call for improving CPSRA as a multifaceted shoreline park, and relatively recent efforts have begun to plan for improvements to the Yosemite Slough portion of the park. However, to date only about half of CPSRA has been improved. The Alice Griffith public housing complex currently includes 256 dwelling units located on approximately 18 acres and configured along looped roads isolated from the surrounding street grid; the housing site only has a single point of access from the rest of the neighborhood. On top of these larger uses, there are also various privately owned parcels that include an RV Park and other miscellaneous uses. Candlestick Point is a part of the Bayview Hunters Point neighborhood (Bayview). While the Bayview has an extremely active and engaged community, the area is physically isolated and historically lacks access to goods and services commonly found in other San Francisco neighborhoods. Efforts to revitalize the Bayview have been ongoing for decades. These efforts have resulted in several recent milestones including but not limited to: (1) the creation of the Bayview Hunters Point Project Area Committee, the citizen advisory body for the Bayview Redevelopment project and survey areas established in 1997; (2) the creation and adoption of the Bayview Hunters Point Revitalization Concept Plan in 2002, a vision document for the community; (4) an amendment to the Bayview Hunters Point Redevelopment Plan in 2006 to include most of the Bayview neighborhood; and (5) the amendment to the Bayview Hunters Point Area Plan of the General Plan in 2006. A significant strategy articulated in these documents by the community is the unrealized potential of Candlestick Point along with Hunters Point Shipyard as places for significant development that can act as catalysts for the revitalization of the greater Bayview Hunters Point communities. Consistent with these planning efforts, in 2007, the Board of Supervisors and the Mayor endorsed a Conceptual Framework for the integrated development of Candlestick Point and the Hunters Point Shipyard (Conceptual Framework). The Conceptual Framework envisions a mixed-use development on both the Hunters Point Shipyard and Candlestick Point that includes hundreds of acres of new waterfront parks and open space, thousands of new units of housing, a robust affordable housing program, extensive job-generating retail and research and development space, permanent space for the artist colony that exists in the Shipyard, and a site for a potential new stadium for the 49ers on the Shipyard. Furthermore, in June of 2008, San Francisco voters passed Proposition G, the Bayview Jobs, Parks and Housing Initiative. Proposition G: (1) adopted overarching policies for the revitalization of the Project site; (2) authorized the conveyance of the City’s land in Candlestick Point currently under the jurisdiction of the Recreation and Park Department, for development as described above provided there is a binding commitment to replace the transferred property with other property of at least the same acreage that will be improved and dedicated as public parks or open space in the Project; (3) repealed Proposition D and Proposition F relating to prior plans for the development of a new stadium and retail entertainment project on Candlestick Point; and (4) urged the City, the Agency and all other governmental agencies with jurisdiction to proceed expeditiously with development as described above. The purpose of this Subarea Plan is to outline broad General Plan objectives and policies for the redevelopment of Candlestick Point. As a Subarea Plan, it details community development policies at a greater level of specificity than that provided in the Bayview Hunters Point Area Plan and other General Plan Elements. Maps and figures provided here, as well as within the Bayview Hunters Point Redevelopment Plan, shall serve as the General Plan maps for the Candlestick Subarea. The Candlestick Point Subarea is comprised of approximately 281 acres on a land fill peninsula at the southeastern corner of San Francisco. As described above, its major features are the Candlestick Park football stadium, the CPSRA, and the Alice Griffith public housing complex. Because of its largely undeveloped character, its connections to the rest of the City are limited, and include only two main routes, Jamestown Avenue and Gilman Avenue ,which link directly to Third Street, the Bayview’s main commercial and circulation corridor. Hunters Point Expressway connects the ends of Jamestown and Gilman Avenues, and together these three streets form the main loop which characterizes Candlestick Point’s circulation pattern. Harney Way connects this main loop to the Executive Park area and Highway 101, but there are very few additional circulation improvements. To the west of Hunters Point Expressway is the stadium’s 55-acre parking lot; to the northeast is an RV Park and unimproved and poorly maintained land used for game day parking. Bayview Hill is another major geographic feature that is immediately east of the stadium. It both protects Candlestick Point from Highway 101 and geographically divides Candlestick Point from neighborhoods to the west. Opposite Bayview Hill to the east are Yosemite Slough and South Basin, which separate Candlestick Point from the Hunters Point Shipyard and neighborhoods further north. 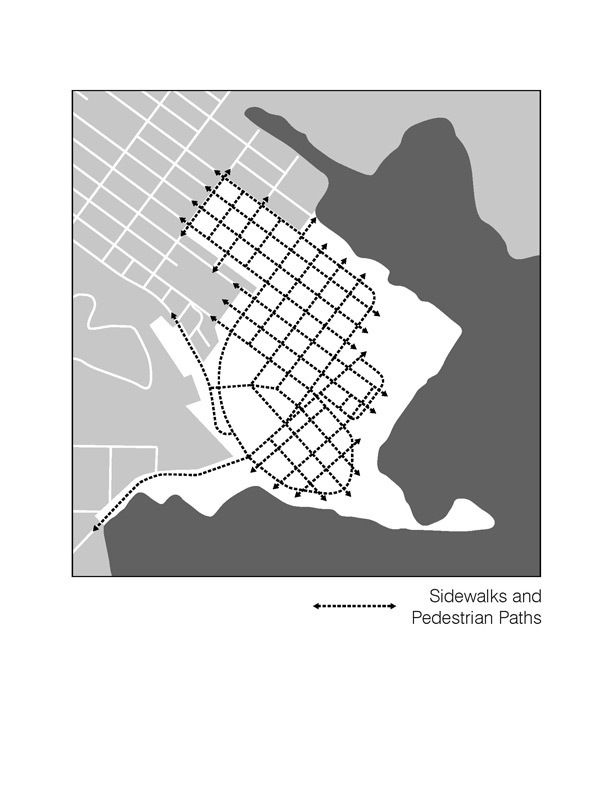 The expansive parking lot and Alice Griffith’s closed-off and insular street system keep the Bayview street grid from extending through to the Bay’s shoreline. As noted above, this Subarea Plan is a portion of the Bayview Hunters Point Area Plan (The BVHP Plan). The BVHP Plan addresses the Bayview as a whole in articulating goals and priorities for ongoing community development. Themes discussed throughout the BVHP Plan include: arresting the demographic decline of the African American population; providing economic development and job opportunities, particularly for local residents, eliminating health and environmental hazards including reducing land use conflicts; providing additional housing, particularly affordable housing; providing additional recreation, open space, and public service facilities; and better addressing transportation deficiencies by offering a wider range of transportation options and improving connections throughout the neighborhood and adjacent neighborhoods. While the Plan addresses some specific areas, most discussions are kept general and apply to the neighborhood as a whole. The BVHP Plan was updated in 2006 when most of the Bayview was incorporated into the Bayview Hunters Point Redevelopment Plan’s Project Area. Prior to the 2006 update, the BVHP Plan recognized Candlestick Point as the Candlestick Point Perimeter Area, and largely addressed conflicts between bordering uses in the South Basin industrial neighborhood, the CPSRA and the Alice Griffith public housing site. At the time of the 2006 BVHP Plan amendment, the Candlestick Point Special Use District had been established through a 1997 voter initiative (which was repealed in 2008) which called for a new stadium and entertainment center. The BVHP Plan was updated in 2010 with the adoption of this Subarea, in recognition of the planned integrated development of Candlestick Point and Phase 2 of the Hunters Point Shipyard. The Conceptual Framework and Proposition G called for the planning of both Candlestick Point and the Hunters Point Shipyard as one integrated development project. Even though a part of the same overall planning effort, a Hunters Point Shipyard Area Plan has been prepared separately in recognition that it is within a separate redevelopment project area and not included within the BVHP Plan. 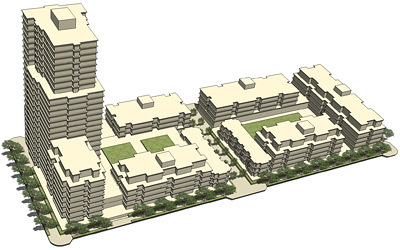 While a specific land use plan and design controls have been developed for Candlestick Point through an amendment to the BVHP Redevelopment Plan and the creation of a Design for Development Document, the intent of this Subarea Plan is to distill planning principles that are reflected in these plans that relate to the BVHP Plan and other elements of the General Plan. As with other Area Plans, this plan provides broad planning parameters for the Candlestick Point Subarea. REALIZE THE FULL POTENTIAL OF THE UNDERUTILIZED CANDLESTICK POINT BY CREATING A COMPLETE AND THRIVING NEW NEIGHBORHOOD INTIMATELY CONNECTED TO THE BAYVIEW AND THE REST OF THE CITY, IN A WAY THAT FULLY REALIZES ITS SHORELINE LOCATION AND ACTS AS AN ECONOMIC CATALYST FOR THE REST OF THE BAYVIEW. To create vital neighborhoods, it is also essential to assure density sufficient to support local retail and services and more robust transit service. Much of Candlestick Point’s 281-acres, is currently comprised of parking and unimproved open space. The opportunity to leverage high-density development for the revitalization of this underutilized land and at the same time address the need to fully improve the State Park. Is a unique opportunity for the Bayview. Candlestick Point’s 2.5-miles of shoreline, and a 100-plus acre State Park within its boundaries are unique assets to the neighborhood, the City and the region. Adjacent development needs to be sensitive to the CPSRA and capitalize on the Park’s shoreline and open space system by creating seamless connections between the Park, the new neighborhood, and the existing Bayview neighborhoods and adjacent neighborhoods such as those on the Hunters Point Shipyard. The CPSRA’s open space network should be drawn into the new neighborhood, and likewise, the built edge of the neighborhood should engage the Park in a public manner. Public access to the Park should be retained and enhanced. Candlestick Point could be considered for a location of a regional retail center featuring large format stores. These stores have had a hard time finding a place in San Francisco. This has resulted in Bayview and other San Francisco residents having to go outside of the City to meet some of their shopping needs. Because of its isolation from most established neighborhoods, and the large amount of developable land, it is an ideal location to place such a regional use. Such a center would (1) meet an unmet retail demand; (2) help generate tax revenue for the Bayview; (3) create job opportunities for local residents; and (4) contribute to creating a town center for the new community. Any such retail center should be mixed use and incorporate other uses such as residential, office, visitor/hotel, and other entertainment or public uses, most importantly on upper levels. Edges of the center should feel seamless and continual with the rest of the neighborhood with an unbroken system of streets that connect the center with the rest of the neighborhood. Similarly, the center should emphasize the public realm and not be insular from the rest of the neighborhood and integrate smaller businesses along side larger format retail. This neighborhood must serve a wide variety of populations. Housing should serve a broad range of income levels, household size, and typologies. It should include housing for seniors, and consider housing for those with special needs. The Alice Griffith Housing public complex, a component of Candlestick Point needs particular attention. Redevelopment of Alice Griffith should be consistent with the tenatnts of HOPESF. Redevelopment of the Alice Griffith site should seek to integrate a variety of housing types along with the public housing units and populations served should be interspersed throughout as to avoid inadvertent spatial separation of residents of differing groups. Similarly, employment opportunities should include jobs along the income spectrum. Any development will provide the construction opportunities over a relatively long build out, however, development should include other permanent job opportunities including those in administrative, managerial, professional, maintenance and other positions. 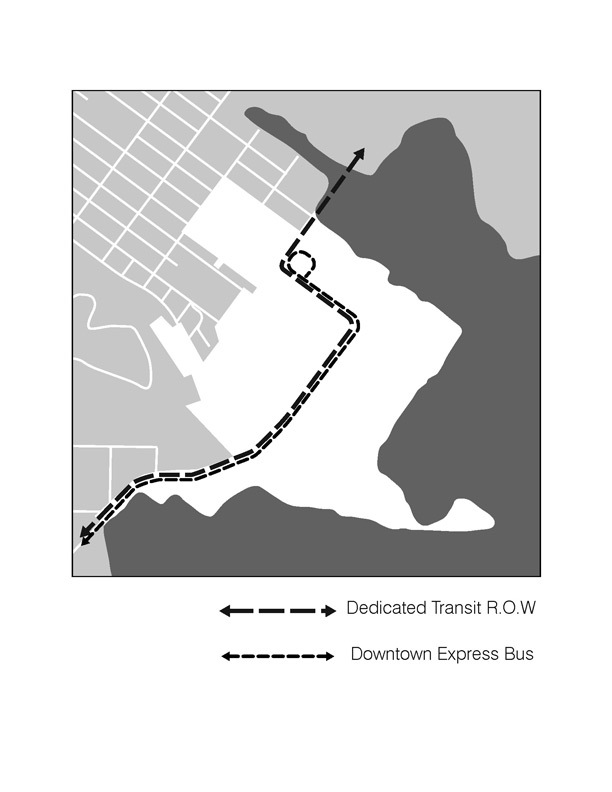 Any transit plan should consider how to get the new residential population efficiently to other clustered job centers including Downtown, Hunters Point Shipyard and regional transit that serves the Peninsula and East Bay in an efficient manner that will encourage the use of public transportation. WHILE DEVELOPING CANDLESTICK POINT, ASSURE APPROPRIATE TREATMENT OF ARCHEOLOGICAL RESOURCES AND RESOURCES IMPORTANT TO NATIVE POPULATIONS AS UNIQUE, IRREPLACEABLE RECORDS OF THE PAST AND OF ONGOING CULTURAL SIGNIFICANCE. 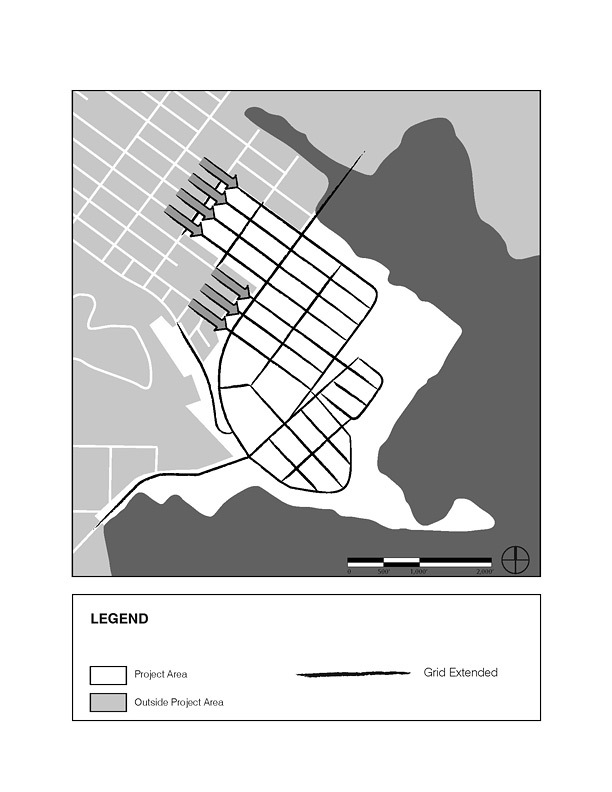 Where archaeological resources cannot be avoided during implementation of the Candlestick Point/Hunters Point Shipyard Phase 2 Project, consistent with the archaeological mitigation measures in the Candlestick Point/Hunters Point Shipyard Phase 2 EIR, archeological resources should be preserved through appropriate archeological treatment including data recovery, analysis, written interpretation, recordation, and curation of the archeological data that has significant research value. Moreover, special care must be given to assure sensitive treatment to such sites that are of cultural value to indigenous populations. Clear protocols should be used to engage relevant Native American groups on making decisions about such resources. Not only should such consideration be given to known possible archeological sites, but also in cases when such resources are inadvertently discovered. As discussed above, the Candlestick Point State Recreation Area represents a major opportunity to create a unique amenity for the Bayview and San Francisco. Any development should include or assist in improving the Candlestick Point State Recreation Area (CPSRA) and support its ongoing maintenance. The State Department of Parks and Recreation is currently updating their General Plan for the CPSRA. The City and the Bayview community should strongly encourage coordination of these plan updates with the overall vision for Candlestick Point. As this plan mandates that development meet the Park in a public manner, park planners are encouraged to plan new CPSRA improvements so that the Park meets development in a similarly engaging way. One of the major objectives for any improvement plan for the CPSRA is the completion of the Bay Trail. Contributing required segments of a multi-modal path through the heart of the Park should be a major feature of any improvement program. A separate multi-modal path should also be provided along the Park’s edge as a way to define the boundary between the built neighborhood and the CPSRA. Ensure a block pattern and street network that is tied to the adjacent neighborhood, is coherent, and provides the development with organization and orientation. Essential to any new neighborhood on Candlestick Point is its integration with the surrounding Bayview neighborhood. An essential strategy to achieve this is to extend the Bayview Hunters Point street grid into the new development. Doing so will facilitate orientation and way-finding and will permit uninterrupted views from the pubic thoroughfares to the San Francisco Bay. Equally important to assuring such integration is incorporating the same streetscape improvements envisioned for new development into the existing neighborhood, thereby knitting the new and existing into a single neighborhood fabric. It is through the public realm elements, such as streets, sidewalks, building facades, adjacent small spaces, parks, that people experience the city and neighborhoods derive their uniqueness and sense of place. Streets are to be thought of more than a means of mobility; they are places in their own right. 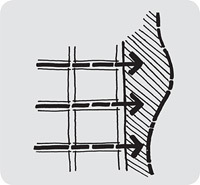 Building faces must be designed to accommodate activation of the street: residential streets must feature landscaping and setbacks to allow for street-facing patios, stoops and entrances; retail streets must be designed to have a continuous set of storefronts typical of San Francisco neighborhood commercial districts. New development should also draw on strategies outlined in the Better Streets Plan to achieve these goals. The development of the new neighborhood has to be thoughtful in its phasing and eventual built-out. Because of the scale of Candlestick Point, overall development should be broken down into smaller districts with each having their own identity. Smaller districts are more manageable and legible and help in providing orientation. Buildings and structures must not only work together to form a coherent whole, but should be individually attractive and distinguishable. Architects should be encouraged to be creative in meeting the sites’ programming needs within required development controls. Any development should incorporate sustainable technologies in innovative ways and express these technologies architecturally. 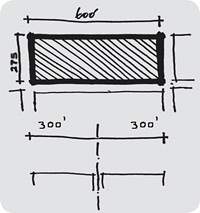 All buildings must emphasize the human scale; while the Subarea Plan allows for large buildings, all buildings, regardless of their size, should be broken down vertically and horizontally so that they relate to the scale of the human body. The manner in which buildings meet the ground and the public realm is also crucial. Ground floor programming must directly address the adjacent street or public realm. INCLUDE TRANSPORTATION IMPROVEMENTS THAT ARE INHERENTLY MULTI-MODAL, ARE SEAMLESSLY CONNECTED TO THE BAYVIEW AND THE REST OF THE CITY, AND PROVIDE RESIDENTS WITH THE ABILITY TO MEET DAILY NEEDS WITHOUT HAVING TO DRIVE. New streets and rights-of-way should be extensions of the existing neighborhood street network. 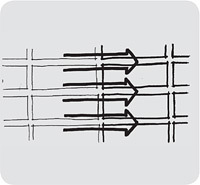 A grid street pattern connects seamlessly to the existing network and offers travelers various choices of routes. Streets should be designed with the principles and objectives of the City’s Better Streets Plan (currently in draft form). Street design should emphasize pedestrian and bicyclist comfort and safety. Major routes to and from Candlestick must serve pedestrians, bicyclists and transit riders, both for those traveling to specific destinations and for people who want to use streets for enjoyment and recreation. Streets throughout the community should be planned for multi-modal use. Street design should stress alternatives to the automobile and facilitate easier movement for transit, bicycles and pedestrians. Dedicated right-of-way for either bus rapid transit (BRT) or light rail transit (LRT) should be a major feature in any street network. BRT right-of-way should be connected to a broader regional BRT system connecting to CalTrain, BART, and the Third Street LRT. BRT stations should be strategically placed in the new neighborhood next to destination locations such as regional shopping and the CPSRA, as well as near the highest densities. Enhanced transit service should be planned to not only serve new residents and workers, but also those in the surrounding communities as well. Facilitation of bicycle use is also important. The street network should accommodate travel by bicycle on most streets (excluding transit and freight routes) with particular routes indicated for special Class I and II treatment through the neighborhood. Planning for bicycles should include consideration for recreational use within the CPSRA and along the Bay Trail, efficient commuter bicycle routes connecting to existing City routes, and day-to-day use within the neighborhood. An effective TDM program will reduce the amount of auto use and encourage residents, employees, and visitors to use alternative modes of travel, such as transit, walking and bicycling including at peak travel times. Such a program should be consistent with City policies and work with ongoing plans for nearby developments. The core of TDM strategies are to ensure that the true cost of driving is realized. Strategies include: setting parking rates that accurately reflect their cost of construction and other externalities caused by driving; selling or renting residential parking spaces separately from the units so that they are less expensive for those who choose not to own a car; and encouraging more efficient and economic use of parking resources by prioritizing parking for shared parking, van pools, and other alternative means of transportation. Similarly, TDM programs should make using transit more efficient by providing a transit coordinator, and incorporating the cost of transit passes in HOA fees and as a part of employment compensation packages. Assure that new Candlestick development is financially self sufficient. Any new development should be structured so that the financing for development and operation of any project at Candlestick will not have a negative impact on the City’s General Fund. Consideration should be given to land use densities and commercial uses that will be sufficient to generate revenues to make development financially viable and self-sufficient, help pay for transportation and other infrastructure improvements, and achieve other economic and public benefits. A major theme throughout the Bayview Hunters Point Area Plan is to promote economic development largely through the provision of new job-generating uses. New development at Candlestick Point will provide ongoing construction jobs throughout the buildout of the project, but it should also look to ensuring a wide range of permanent jobs. Sufficient land should be set aside to provide diverse job-creating uses. A commercial core should include a mix of uses, in order to provide a variety of employment opportunities as well as a range of needed services. Such jobs should be within the retail, managerial and service sectors (office), as well as within the hospitality field the commercial core shouldcreate opportunities for private entrepreneurship and small business development. Create below market rate housing at a range of income levels that will serve and support the existing community and create opportunities for home ownership. The Bayview Hunters Point Area and the City is in need of additional below-market rate housing at a range of income levels. The development of Candlestick Point and Phase 2 of the Hunters Point Shipyard represents a unique opportunity to create not only retail and open space amenities, but also a sizeable amount of affordable housing offered at below market rates. Development in this area should support and create affordable housing that is affordable at a range of income levels and include opportunities for affordable home ownership. Additionally, development in this area should support and contribute to the rebuilding of the Alice Griffith public housing development into a mixed-income community that provides for the replacement of the public housing units and incorporates HOPESF principals. CREATE A WORLD CLASS NETWORK OF OPEN SPACE THAT INCLUDES A SIGNIFICANT PORTION OF THE OVERALL CANDLESTICK POINT AREA, ENABLES IMPROVEMENTS TO THE CPSRA, ENHANCES ACCESS, PROVIDES A WIDE RANGE OF RECREATIONAL OPPORTUNITIES, AND IS SEAMLESSLY INTEGRATED WITH THE EXISTING NEIGHBORHOOD. Provide a wide variety of types and scale of open space with a wide variety of recreational opportunities. Any proposed plan should emphasize open space and recreational opportunities. The open space system should consist of a wide variety of parks, with diverse sizes, characters and programs, including neighborhood and community parks, grassland ecology parks, waterfront promenades and opportunities for sports and active recreation. It should include both large scale spaces suitable for large events, and more intimate gathering spaces essential for a living and working neighborhood. New open space and parks should orient visitors to the neighborhood and waterfront and serve the recreational needs of residents in both the new and existing adjacent communities. The park system should also provide ecological services, such as storm water and habitat management. Additionally, lands granted to the Agency by the State of California that are subject to the Public Trust should be administered and reconfigured in a manner consistent with the public trust for commerce, navigation and fisheries and enhances their value for public trust purposes, in accordance with Chapter 203 of the Statutes of 2009 (“Granting Act”). Improve the Candlestick Point State Recreation Area to enhance access by residents and visitors to the waterfront, and create great new public recreational and open spaces in the Project Site. Because the CPSRA is such a large portion of the Plan Area, its improvement will be pivotal to any development’s success. Much of the CPSRA is unimproved and largely inaccessible; these portions currently provide limited recreational benefit to the community. In 2009 the State Legislature passed and enacted in January of 2010, SB 792, which provides for the reconfiguration of the Candlestick State Point Recreation Area and improvements to the State Park lands, in connection with the development of Candlestick Point and Phase 2 of the Hunters Point Shipyard. A map of the current configuration is on file with the Planning Department. A holistic development design that considers not only the Park itself, but how it connects and relates to new development and the neighborhood should be encouraged. Final improvements to the CPSRA will be determined by the California Department of Parks and Recreation’s process for updating the CPSRA’s General Plan. Because CPSRA is a State Park, its programming will need to be kept within the parameters of the mandate given to it by the State. While determining an updated program for the Park will be the duty of State planners, they are strongly encouraged to coordinate their efforts with any new built development at Candlestick, and to keep in mind characteristics that reflect its urban context in San Francisco. The San Francisco built form is celebrated for its well coordinated relationship between buildings and open space: buildings look out to and provide entrances from the borders of open space; the built edge provides well defined visual boundaries to parks of all sizes; well defined public rights-of-way including frontage roads and pedestrian walkways provide comfortable buffers between buildings and parks, which clearly signify the priority placed on pubic access and use. These characteristics would ideally be reflected in an updated CPSRA General Plan and improvement program for Candlestick Point State Recreation Area. Candlestick Point has a rich and layered history, which should be expressed and celebrated throughout the development. Opportunities should be explored to celebrate the history of Candlestick Park Stadium, the African American community’s settlement of Bayview, and the history of Native American populations. Community members close to different aspects of Candlestick’s history should be invited to participate in planning commemorative elements in the streetscape, open space planning, public art or other community-related facilities.